When you’re waiting for your baby to arrive, it’s natural for every decision you make to feel momentous and intimidating–even when it comes to decorating the nursery. Give yourself a break! Choosing nursery decor should be fun, especially when it comes to choosing wall art. But if you’re feeling a little overwhelmed about selecting the pieces that will adorn your baby’s walls, we’re here to help. Check out our favorite ideas for finding and displaying nursery art that you (and your baby, eventually) will love. First of all, there are no strict rules about what constitutes wall art. So, it’s not just framed photos or prints. Instead, wall art can be a string of tassels, a macrame wall hanging, or even skateboard decks. You also don’t have to choose traditional nursery-themed pieces, like pastel-colored cartoon animals. After all, they won’t be infants forever, so it makes more sense to invest in pieces that your child won’t declare “too baby-ish” by the time they hit kindergarten. Perhaps the most common type of wall art, there are tons of ways to display these pieces. A gallery wall is a great way to bring together pieces in a variety of mediums and frame types to make a statement. Or, you can go for a more cohesive look by hanging a collection of black and white photos in black frames with white mats. 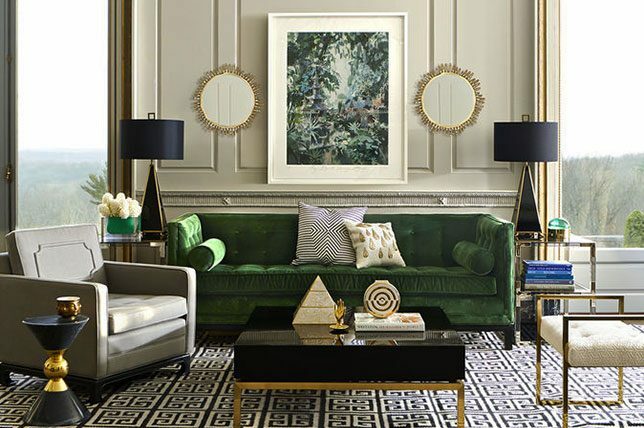 You can also make a statement with fewer pieces: Choose one large piece of art, or hang two or three pieces that you side by side, like a diptych or triptych. If you don’t want to commit to a gallery wall, picture ledges offer a similar look, but you can change the pieces and arrangement at any time (and without putting new holes in the wall). You could also hang photo line with clips and hang cards and, of course, your baby’s latest photos. Commissioning an artist to paint a mural is a beautiful way to make a custom creative statement in your baby’s nursery. Keep in mind, however, that this can be a big investment, and depending on the design, one that your child will quickly outgrow. But as long as you’re aware of the potentially short-term nature of the mural, go for it. Wall decals are the epitome of commitment-free nursery decor. They’re also fairly inexpensive, so feel free to go as whimsical as you’d like. When your child outgrows the look, you can easily peel off the decals and redecorate, perhaps with a new set of decals. Think outside of what is traditionally considered wall art. For example, if you love the intricate heirloom quilt you were gifted but you’re nervous about all the ways your baby could ruin it, hang it on the wall instead. Other fun, unconventional options include textiles, vintage pull-down maps, retro travel posters, and pennant garland.